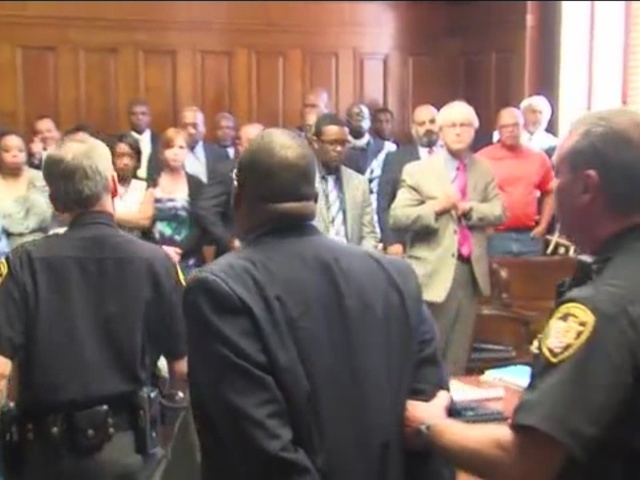 Ex-Cuyahoga County Judge Lance Mason will serve two years in prison for his attack on his wife last summer. Mason was sentenced to serve two years in prison for attempted felonious assault and domestic violence. He was also ordered to undergo counseling in prison. Mason, 47, of Cleveland, pleaded guilty to attempted felonious assault and domestic violence. The other charges against him were dropped. Mason was arrested Aug. 3, 2014 following an incident in which he is accused of attacking his wife on a Shaker Heights street. Mason resigned as a judge earlier this week, his defense attorney said in court Wednesday.